Today, GE in Nigeria employs over 700 people, 98% of whom are Nigerians and serves over 100 public and private sector customers from its offices in Lagos, Port Harcourt, Onne and Abuja. Nigeria, Africa’s largest power privatization market reflects what’s possible through a determined effort to bring private sector participation in the power sector. The privatization strategy appears to be working in Nigeria after the government successfully sold 5 power generation and 11 distribution companies in 2014. The ongoing reforms in Africa’s largest economy also usher in Greenfield projects. GE is working closely with the new owners of privatized assets to ramp up power production. Independent Power projects in Nigeria that GE is currently working with include Ogorode, Benin, Omotosho, Olorunsogo and Alaoji Power Plants – all with a combined GE-enabled installed capacity of over 4000MW. These milestones are in fulfilment of the MOU GE signed with the Federal Government, committing to help generate additional 10,000 megawatts of electricity for Nigeria over ten years. In addition, GE is prepared to support the government with a holistic end to end initiative to tackle the challenge of the energy value chain which will help GENCOs optimise the assets they currently have and ensire that these generation assets unlock the power that is generated but unavilable. The new technology that GE provides is helping operators in Nigeria and others across the continent to reach their long-term goals. GE Power Services signed a Service Agreement with Shell Petroleum Development Company (SPDC) for its 650MW Afam VI combined cycle power plant located in the South-eastern part of the country. Thanks to this agreement, the plant which provides enough electricity equal to power over 3 million Nigerian homes at peak performance, will expect to improve its availability, reliability and output for up to 200.000 Nigerian homes, while decreasing its operational costs. The GE Hydro team recently commenced the general rehabilitation of the 80MW Hydro Turbine Generator unit -1G7 at Kainji through our partnership with Mainstream Energy. We signed an MOU with Mainstream at the beginning of the year to deliver renewable power projects in Nigeria. Under the MOU, both companies will jointly work to implement the Kainji and Jebba Power Plants Recovery Plan, as well as improve the generation and evacuation infrastructure for grid connectivity of Kainji to the West African Power Pool. In addition, it will lead to the development of other Hydro Power potentials in Nigeria and West Africa. 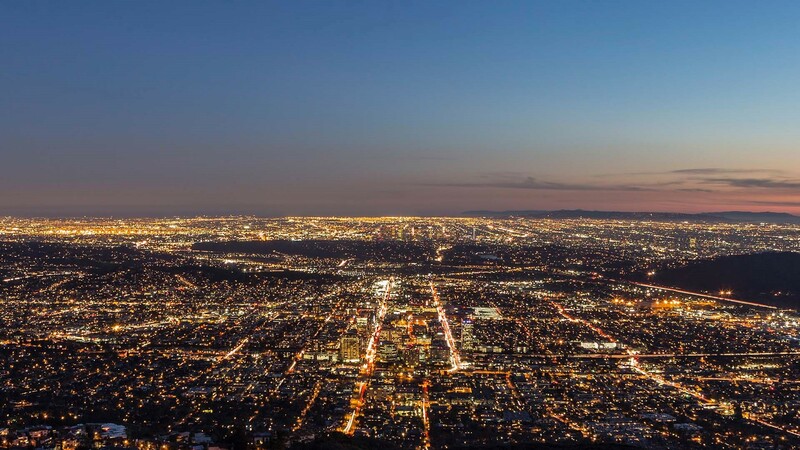 GE Energy Connections’ recent MOU with Power China is aimed at reinforcing the existing transmission network and improving grid stability & reliability. The objective is to expand transmission capacity by 3,000MW thereby providing increased access to stable and reliable electricity. We also signed an MOU with the Northern States Governors Forum to deliver 500MW of Solar Power across Northern Nigeria through captive and utility scale projects. These critical initiatives will increase the electrification rate in Nigeria and provide the needed power for industrialization and economic growth. With over 40 years in Nigeria, GE Healthcare is focused on partnering with public and private health providers to increase access to affordable and quality care through a commitment to localization and capacity building. In April 2012, GE Healthcare and the Nigerian MoH signed a 5-year agreement for the government to leverage GE’s technology, solutions and domain expertise to upgrade its medical facilities and build an improved health infrastructure. The MOU signed under the C2C defined specific goals and commitments for GE and Nigeria to work together to improve access and quality of care in Nigeria. Although the large demographics might have complicated Nigeria’s progress with healthcare, GE believes it can create massive opportunity for improving the lives of the citizens and the sustainability of local institutions within the healthcare sector. The Healthcare MOU is focused on 5 areas for Healthcare infrastructure development in Nigeria: Developing diagnostic centres and specialist hospitals; rural health solutions; smallholder medical facility scheme; and the exploration and execution of co-location model PPP projects. • Implementation of Primary & Referral Care programs in rural and semi-urban settings deliver comprehensive and maternal and new-born care for improved patient outcomes. GE is also working on solutions for rural care of mothers and infants, in partnership with National Primary Healthcare Department Agency (NPHCDA). GE’s Healthymagination Mother & Child Initiative (HMCI) is currently ongoing in several states in Nigeria including Kano, Cross River, Bauchi and Ondo states with 180 VScan handheld ultrasound units being deployed to rural LGAs to provide free scanning to thousands of women. Under this program, 560,000 expectant Nigerian Mothers are set to benefit by 2020, with 1,120,000 ante-natal scans expected to be completed and 28,000 hours of training for 360 midwives and antenatal primary health givers. GE Healthcare recently signed a multi-year partnership with Kaduna State MoH to expand primary and referral care services and build capacity at 255 primary healthcare centers and 23 secondary healthcare hospitals across the state, with GE providing latest medical technologies, including technical and clinical trainings for healthcare workers. Additionally, the Northern States Governors Forum (NSGF) recently selected GE Healthcare as a long-term partner to revitalize healthcare infrastructure in the Northern States, with the signing of a one-of-a-kind strategic partnership agreement. With regards to innovative financing, GEHC through GE Capital Industrial Finance has been very active in creating access to financing for healthcare providers in the private and public sector. We have successfully created working relationships with Financial institutions (commercial banks, Development Finance Institutions and Export Credit Agencies) to provide access to affordable healthcare financing for private and public-sector healthcare projects. Recently GEHC partnered with PharmAccess Foundation, IFC, BOI, and other commercial banks to provide access to affordable financing for all sectors of the healthcare economy from primary healthcare to multi-specialty hospitals. In the area of skills development, GE Healthcare has fulfilled its commitment to a three-year Biomedical Equipment Technician Training (BMET) program which was launched at WEF Africa in 2014 from a partnership between the GE Foundation, the Federal Ministry of Health and Engineering World Health. The $1.5 million BMET training program was delivered through 18, four-week-long modules, over three years via the classroom, laboratory, field practicum, and exam components. Achievements recorded from the program include, 60 students trained across private and public healthcare institutions; completion and commissioning of the LUTH Biomedical School by the Federal Minister of Health in August 2017; Accreditation of the new Biomedical Equipment Technician Training (BMET) program by the National Board of Technical Education in Nigeria; and announcement by the Health Minister to replicate the model in 5 schools of Biomedical Engineering across Nigeria. This program will produce a multiplier effect of addressing a major need for locally qualified medical technicians to repair and service biomedical equipment in the country. 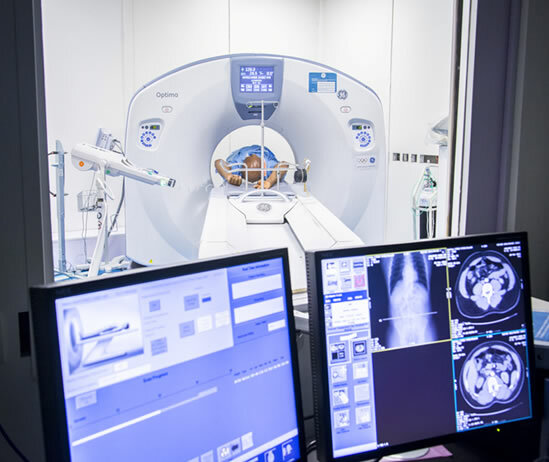 So far, GEHC has conducted 16 clinical, technical and education courses at the radiology department of teaching hospitals and medical centers across eight states in Nigeria. Following the merger of GE Oil & Gas and Baker Hughes International on 3rd July 2017 to form Baker Hughes, a GE company (BHGE), the new company has consolidated its position as the industry-leading equipment, services and digital solutions across the entire spectrum of oil and gas development. It is the world’s first Fullstream company, combining capabilities across the full value chain of oil and gas activities—from upstream to midstream to downstream. BHGE’s Fullstream capability comprises cost-effective solutions across the industry value chain – arguably, a valuable differentiator within in a recovering oil & gas sector that is keenly selective in its investments. 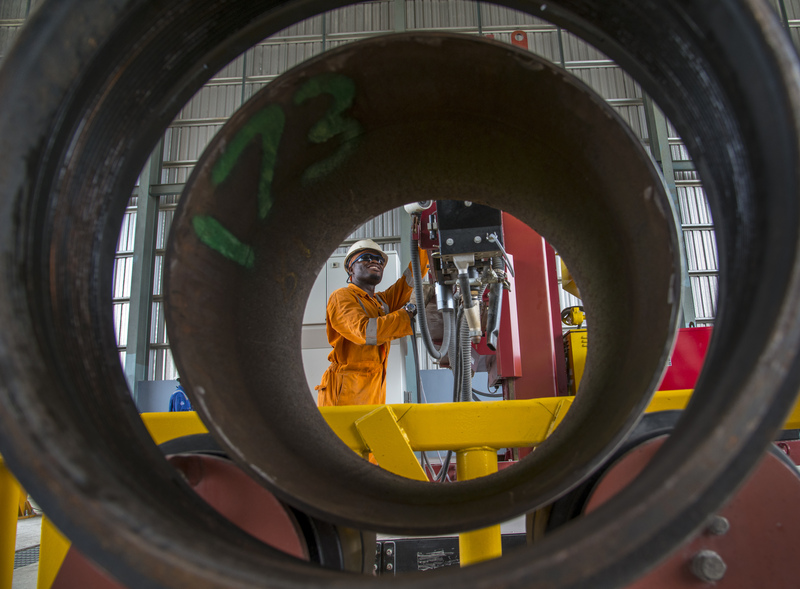 As a key part of BHGE SSA, the Nigeria operations footprint spans 500 talented professionals across 5 locations (Lagos, PH, Onne, Bonny Island, Abuja). This structure services a varied clientele of International Oil Companies (IOCs) and local / regional independent operators in the oil & gas industry, all with world class standards and expectations. 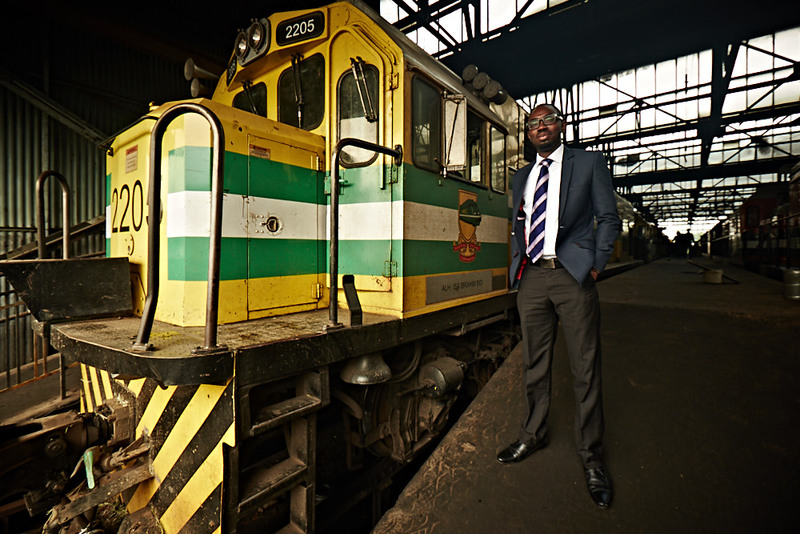 In the last 5 years, GE’s milestones in transportation include modernization and expansion of Nigeria’s locomotive fleet. Right now, GE is working with private sector participants to develop a locomotive assembly facility. That facility would modernize 30 old locomotive engines and assemble 170 new locomotives. The company is also acting on the order to supply locomotives to the Nigerian Rail Corporation (NRC) as part of the country’s fleet renewal program. Other milestones include consigning 25 NRC locomotives (Delivery between February and October 2010); Training of 10 NRC engineers in Brazil (June 2010); Training over 100 NRC maintenance and service engineers in Lagos and supporting Eko Rail Company with the Lagos Metro Blue line light rail project. 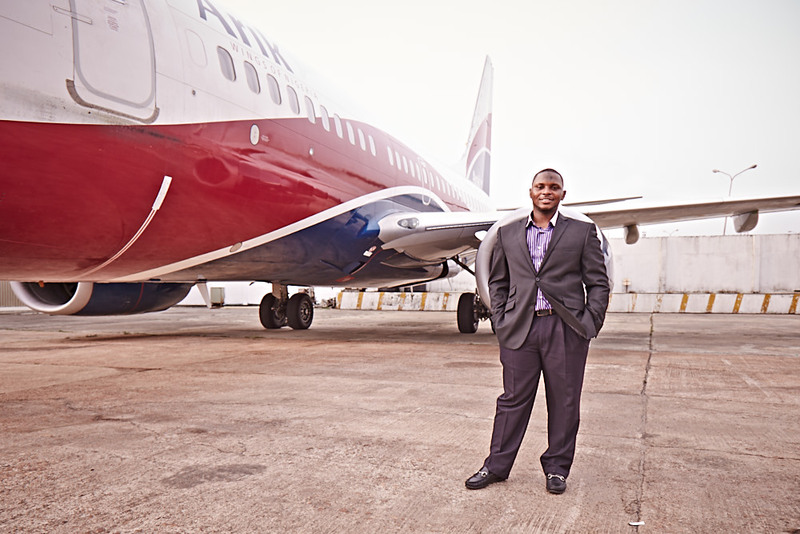 GE Capital Aviation Services (GECAS) is working with the Nigerian Federal Ministry of Aviation in the areas of private-sector led investments in aviation infrastructure development including airport upgrading, and facilities development. Perhaps, the most visible sign of GE’s commitment in Nigeria resides in Calabar. In December 2014, GE broke ground on this investment in Calabar – the first of its kind in Africa and the second following of such multi-modal facility alongside Pune, India. 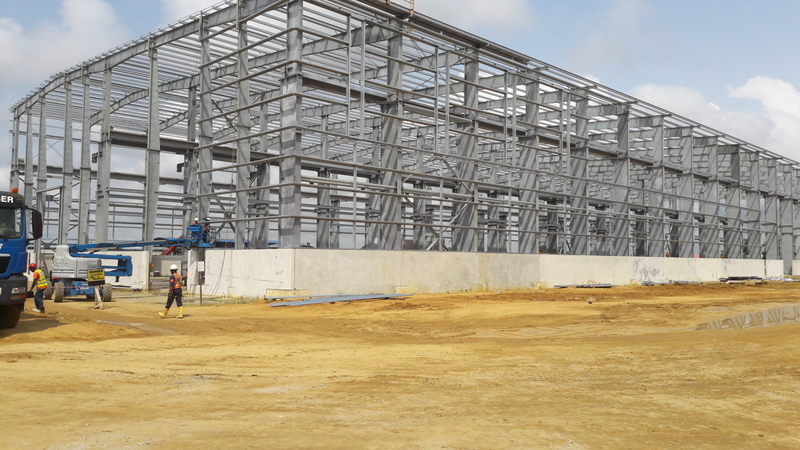 The facility intended to augment our local manufacturing capability is to be deployed in phases to support different GE businesses and sectors: 2017 saw construction substantially completed on the 8000m2 Multi Modal Facility in Calabar. Operational startup is currently being reviewed to align with commercial and operational timelines for upcoming local content execution and bids in BHGE and Power. As part of community efforts, a mechanical and electrical workshop was built for the Calabar Technical College in Ikot Effanga. The workshop includes milling and welding equipment. GE created the Garages program in 2012 to reinvigorate America’s interest in invention, innovation, and manufacturing. In 2014, Garages went global with four weeks of intensive workshops at GE’s offices in Lagos, Nigeria, using the latest in advanced manufacturing technologies. 3D printers, CNC mills, and laser cutters. In 2016, GE launched the permanent installation of the Lagos Garage, a hub for advanced manufacturing-based innovation, strategy development, idea generation and collaboration. Co-located with the GE Lagos offices in Victoria Island, the Lagos Garage offers year-round series of skills training programs focused on building the next generation of Nigerian entrepreneurs. Till date, 250 entrepreneurs have graduated the program having been trained to use the latest in advanced manufacturing technologies; 3D printers, CNC mills, and laser cutters as well as in business development. Other wins consist of – 65 ideas transformed into practical business models; 100+ prototypes developed, with 14 new ventures winning prestigious International awards. Mobile Library Project; GE through the GE Kujenga Gives Grant and The United for Kids Foundation setup a mobile library for out of school children who will have the opportunity to take part in the Read to Me programme. The objective is to help “out of school” children improve their literacy skills. Stay in School Library Project; GE through the GE Kujenga Gives Grant, awarded the Young Minds Foundation $20,000 to set up a resource center where students in the rural communities within urban centers can access educational materials and study in a conducive environment. Providing entrepreneurial skills to Corp Members; GE in partnership with National Youth Service Corps amalgamated on the Start & Improve Your Business (SIYB) training programme, the initiative was based on the curriculum of the International Labor Organization (ILO) and saw thousands of youth corps members receive critical entrepreneurial training. The overall goal was to improve on and increase the capacity of the youth in building Micro, Small and Medium Enterprises (MSMEs) that can operate effectively and be sustainable in the long-term. Hosting of Technology Conference for Nigerian Start- ups in the US; In line with its commitment to skills development and the empowerment of entrepreneurs in Nigeria. The conference, which was a result of collaborative efforts between the Lagos State Government, John Hopkins School of Advanced International Studies, Microsoft and GE, was held in Washington DC with leading Nigerian tech entrepreneurs and startups in attendance.